Home NEWS & EVENTS Garfield Police Officer talks to BASCS El. Garfield Police Officer talks to BASCS El. Ms. Yu and her class at BASCS Elementary had a special visitor on yesterday. An officer with the Garfield Police Department talked to the class about how they help our community! 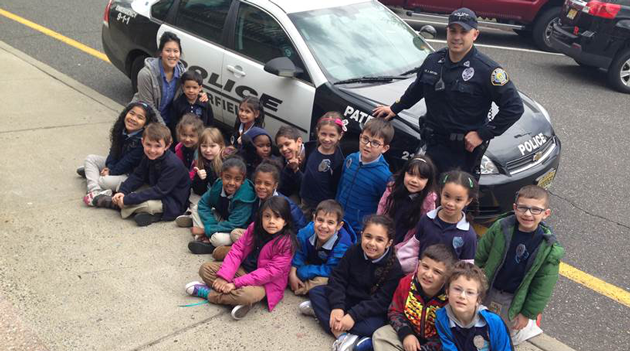 The class also got to see the police car and even sit in it!